You can set up your email account on Microsoft Windows 10. 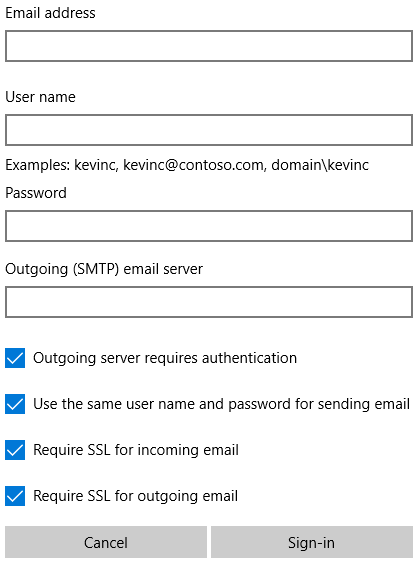 To do this, follow the instructions below to manually configure the email account. It's important to understand that when your server details change, you may need to do this process again in order to update your email account authentication information. You should find that you are in your email accounts management section. If you scroll down, you should find the email account record for the one which you are looking to set up in Microsoft Windows 10. Against that record, you should see an option shown as 'Configure Mail Client' which you need to select. Scrolling down to the 'Manual Settings' heading, you will locate the manual settings required for the email account. It is recommended to use the 'Secure SSL/TLS Settings' as highlighted on the left for secure setup on IMAP. However, if you prefer setup on non-secure POP, please use the 'Non-SSL Settings' on the right. Please make a note of these or refer back to them later as they will be used further down. Next to set up the Windows 10 mail, click the 'Start' windows icon from your taskbar in the bottom left corner and then select 'Mail' from the menu. 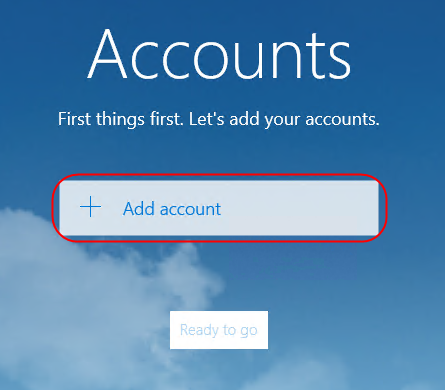 For the first occasion when you open Windows 10 Mail, you will be asked to add an account. Click the 'Add account' button. 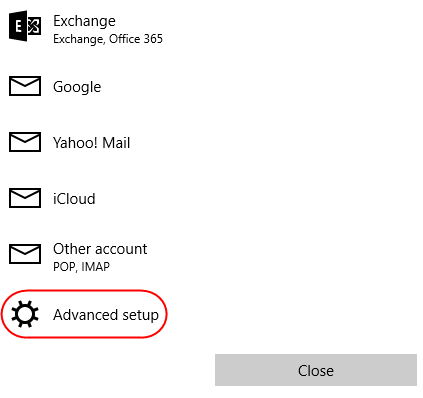 If you already have an email account set up, click 'Settings' -> 'Accounts' -> 'Add an Account', then 'Advanced Setup' to start the wizard. Choose the 'Advanced setup' icon. At this point you need to enter your email account details in your email client area that was highlighted a few steps back. 'Account name': An account name to identify your account. 'Your name': Your name which will be displayed in your emails. 'Incoming email server': Your incoming server name. In our example, this would be 'maggie.enixns.com'. 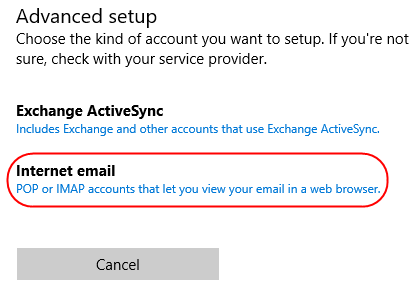 'Account type': Select IMAP4 (secure and recommended) or POP. 'Email address': Your email account email address. 'Username': Your email account email address again. 'Password': Your email account password. 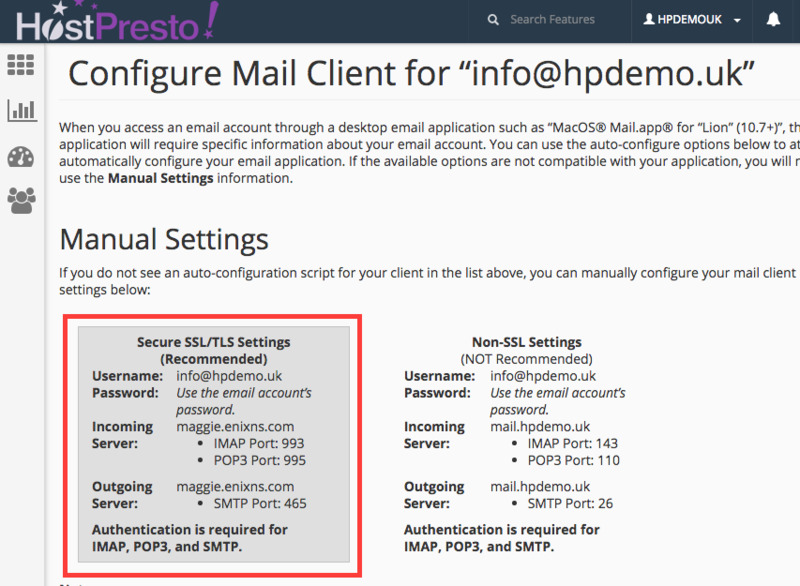 'Outgoing (SMTP) email server': Your outgoing server name. In our example, this would be 'maggie.enixns.com'. 'Outgoing server requires authentication': Ticked. 'User the same user name and password for sending email': Ticked. 'Require SSL for incoming mail': Ticked only for IMAP. 'Require SSL for outgoing mail': Ticked only for IMAP. 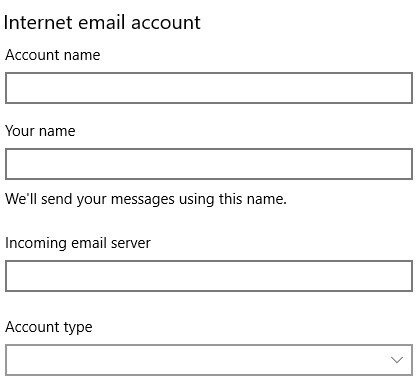 Once you have entered the required information, click 'Sign-in' to set up your account and start using Windows 10 Mail. 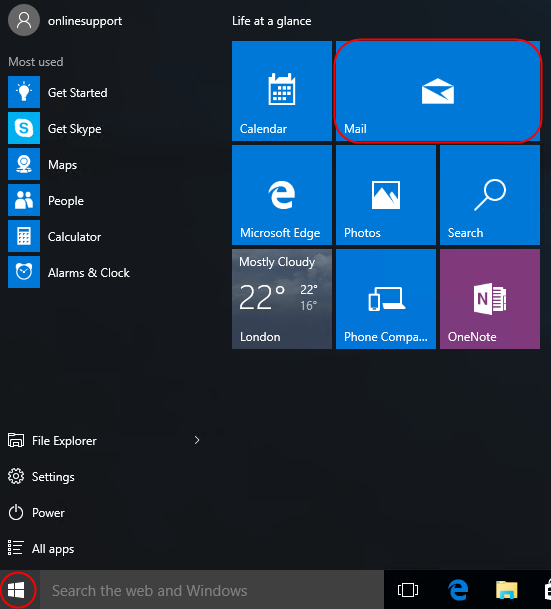 Windows 10 Mail is now set up to send and receive emails from your mailbox.